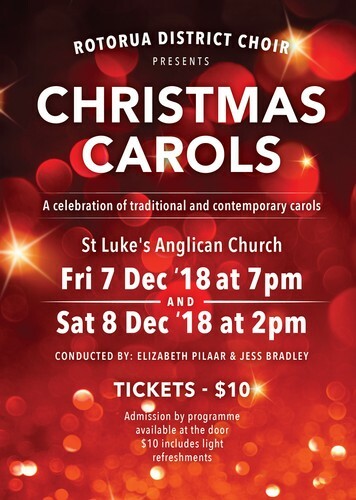 The Rotorua District Choir presents a concert of traditional and contemporary carols including several for the audience to join in and sing along. Come and celebrate the festive Season with the joy of Christmas in music. Also featuring guests Anna Pilaar on violin and Ian Pirrie on guitar performing a Christmas medley. Ticket price includes a cup of tea or coffee and a Christmas mince pie.